I couldn't agree more...i have tried, every once in awhile something grand is thrown in there, but...not often. Yes, as am I... especially Forte, as I've creamed my pants several times over his sketches in this thread. It's a crying shame there weren't any amazing Will Forte/Will Ferrell sketches. But I think Forte was put on SNL for a reason - to make us all forget there was a Will Ferrell and that there's only one Will Forte. And so another SNL episode has passed. Sharpton hosted SNL and it really wasn't that bad at all. Very similar to when John McCain hosted. It was a good move getting Tracy Morgan to come back for some sketches. This could allow him to plug his new show while getting to do sketches with the guy he did impressions of on several past episodes. Very fun to watch - especially their opening monologue. Man, a lot of the sketches were just REALLY fun to watch, and I bet SNL will benefit from the huge media attention they got for getting Sharpton on the show. first episode that i've actually liked tracy morgan on. i usually laugh at sharpton anyway-- this was exceptionally funny. i just saw the nick burns computer guy skit for the first time on a rerun and it was hysterical! "hurry up man, my screen saver is about to kick in!" Maybe Rachel Dratch will play Gollum. I always liked when he found something funny and said "L-O-L semi-colon parenthesis!" Yeah, if she's even on the damn show! Maya owned this show (but for good reason). I do? If I did say that, I've changed my mind. I think Horation Sanz is funny on SNL, he wasn't very good at UCB. 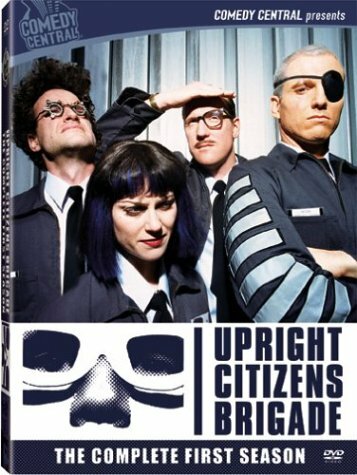 As for Poehler, haven't watched SNL in a long time, but she's great on that first season dvd of UCB, which had me laughing really at hard. "You are the one who will someday defeat me."